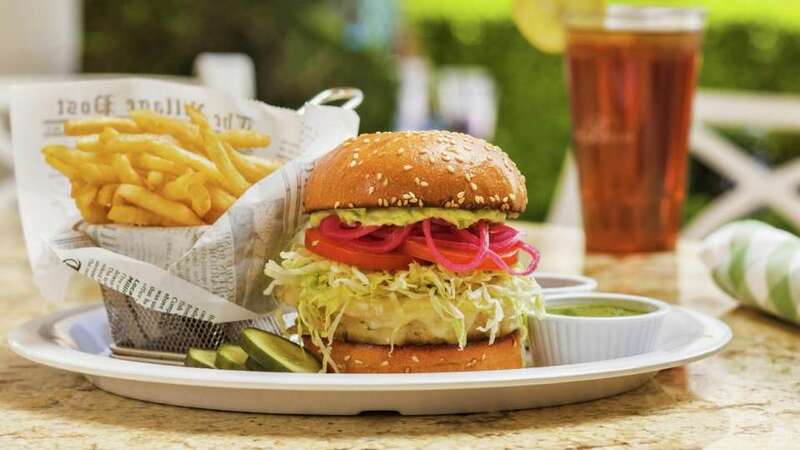 The Pool Café offers a selection of fresh cuisine, sweets desserts and refreshing cocktails for you to enjoy. 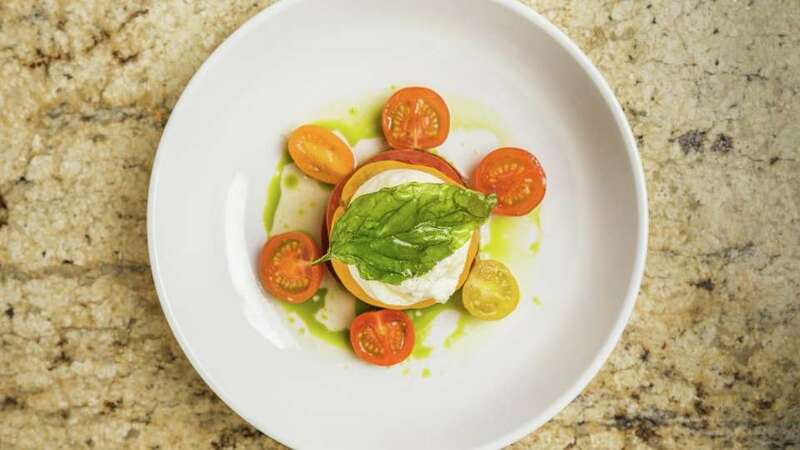 The menu includes healthy wraps, delicious muffins, and seasonal fresh fruits. As the day heats up, keep cool with our creative lineup of handcrafted cocktails or refreshing coolers. 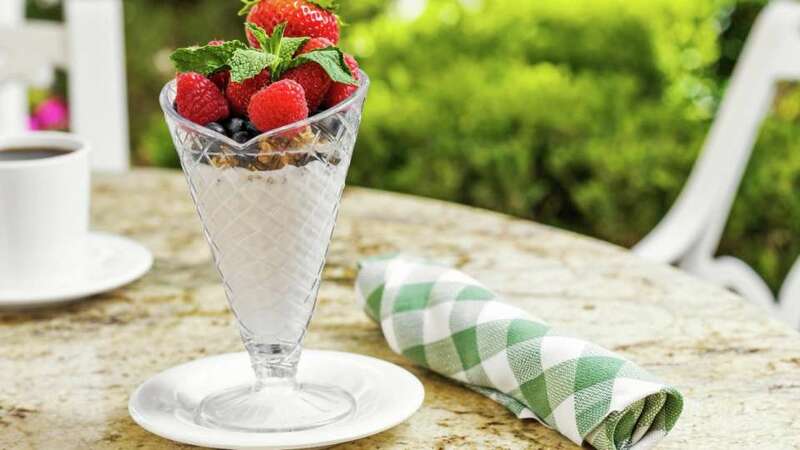 As you sip, savor relaxing view of the pools, a garden vista café, and artfully formed citrus and parterre gardens. *Thoroughly cooking food of animal origin, including eggs reduces the risk of food borne illness. Young children, the elderly, and individuals with certain health conditions may be at a higher risk if these foods are consumed raw or undercooked. 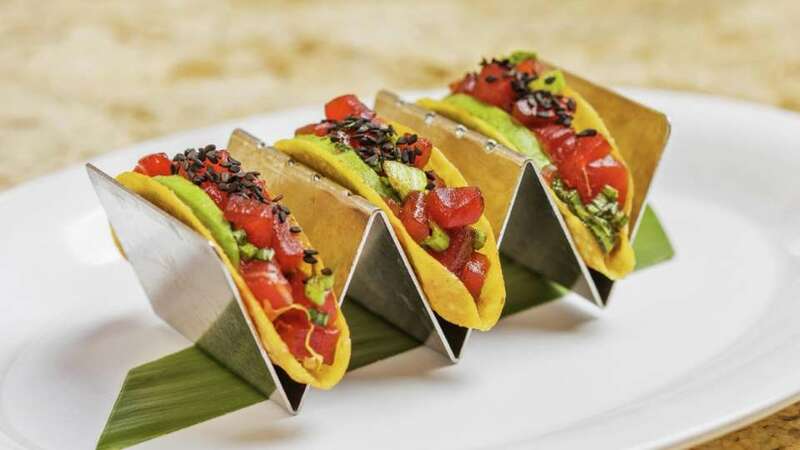 Menu items are subject to change due to seasonality. 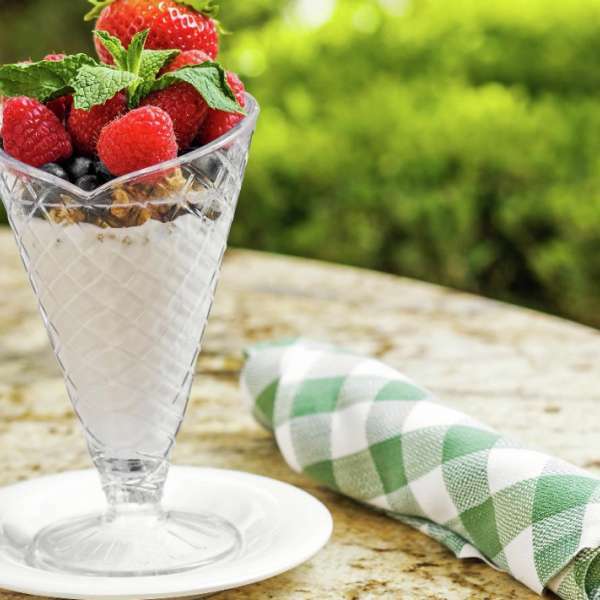 Keep it light at the Pool Café with a yogurt parfait. 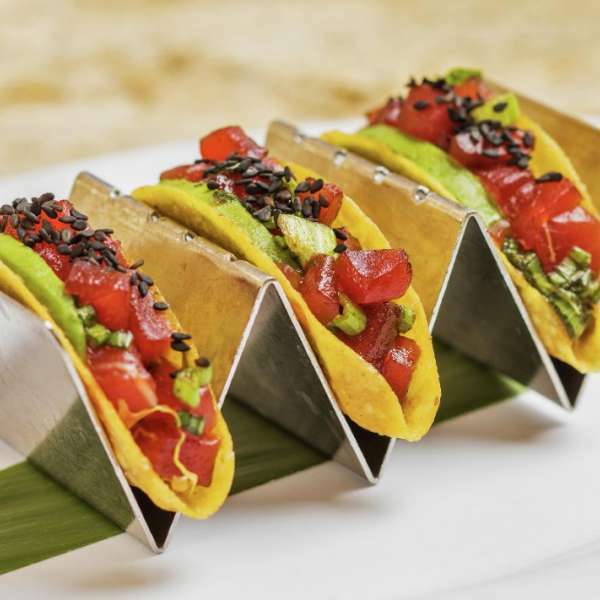 Enjoy a light and refreshing meal with our Ahi Poke Tacos. 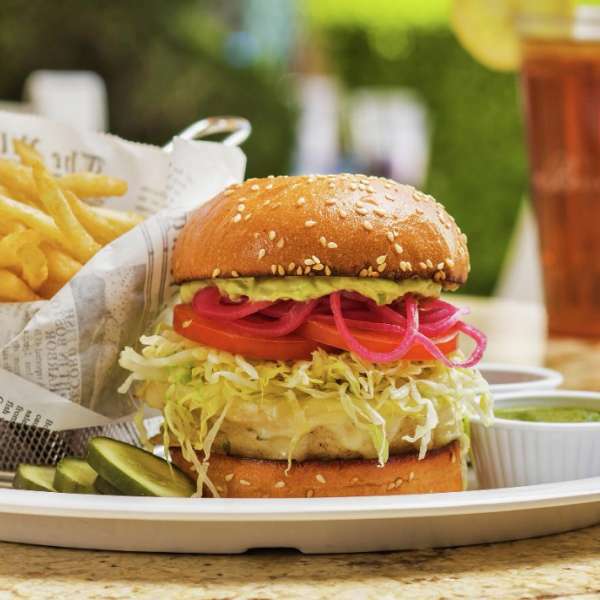 Enjoy a delicious Turkey Burger from the Pool Café. 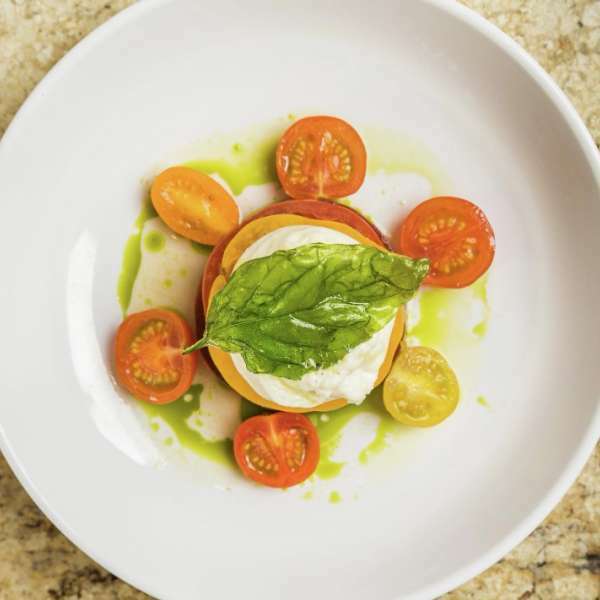 Delicious and light Heirloom Tomato Burrata at the Pool Cafe. Walk into the lobby and make a right by HERMÈS into the casino. From there head straight past the Baccarat Bar and make a left at the junction. You will pass Club Prive as you enter the Promenade Shops. The Pool Entry is on the left side adjacent to the Bellagio Gallery of Fine Art. Walk into the Via Bellagio Shops and immediately make a right. You will walk into the casino towards Lily Bar & Lounge, and veer left towards the Casino Cage. From the Casino Cage make a right and walk past Club Prive as you enter the Promenade Shops. 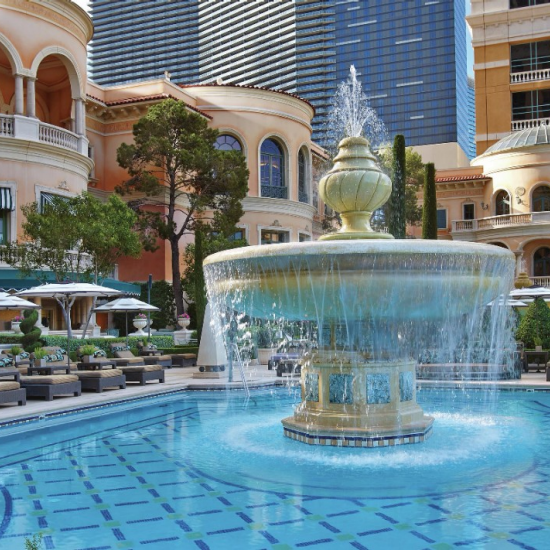 The Pool Entry is on the left side adjacent to the Bellagio Gallery of Fine Art.